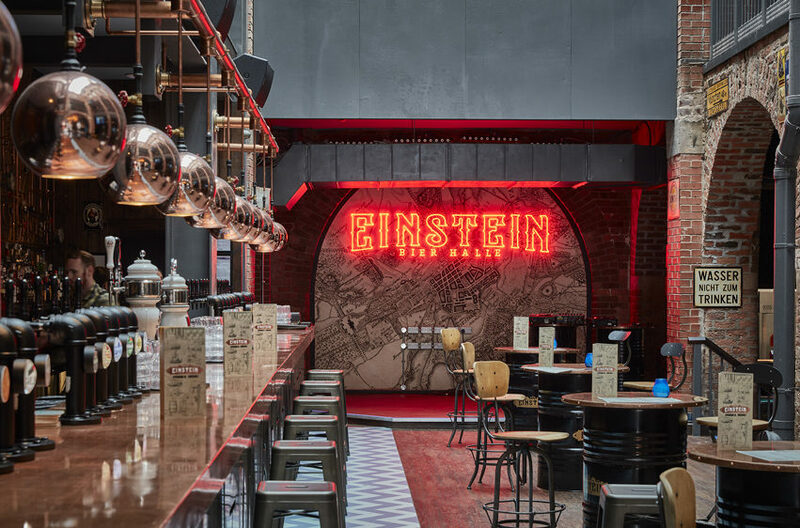 Einstein is the creation of a German bier halle in an abandoned victorian warehouse in the centre of Liverpool. 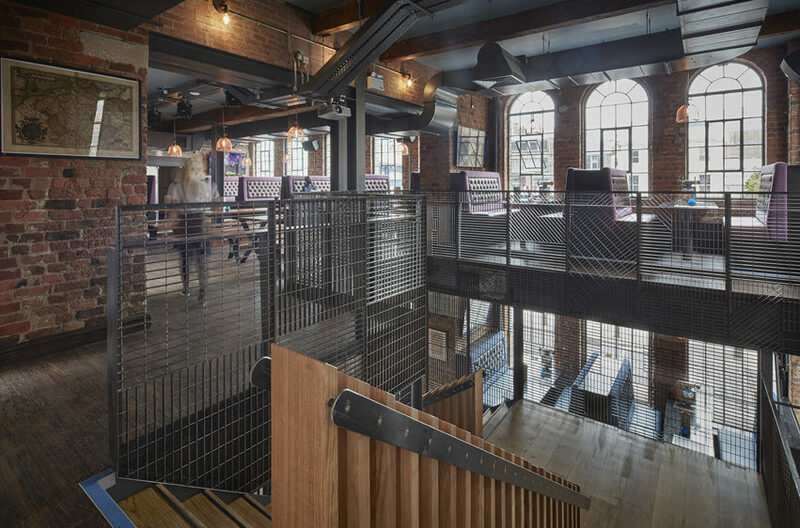 The warehouse was previously used as a yachts chandlers and repair shop. 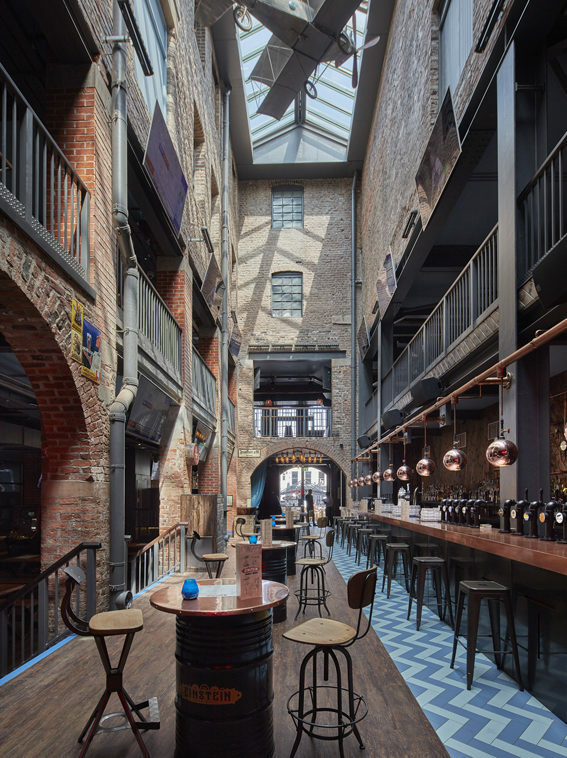 The four-storey high space in the centre of the building is retained as the central focus of the shared experience that is central to any bier halle [be that in Munich or elsewhere]. 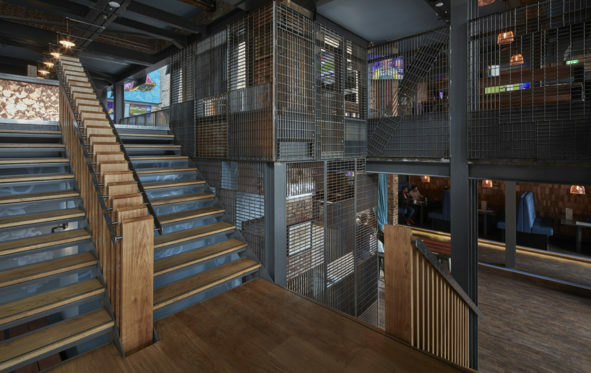 The project deliberately avoids clichéd notions of a bier halle [blue and white Bavarian flags, girls in costume etc] and instead focus on the bier and the group experience. 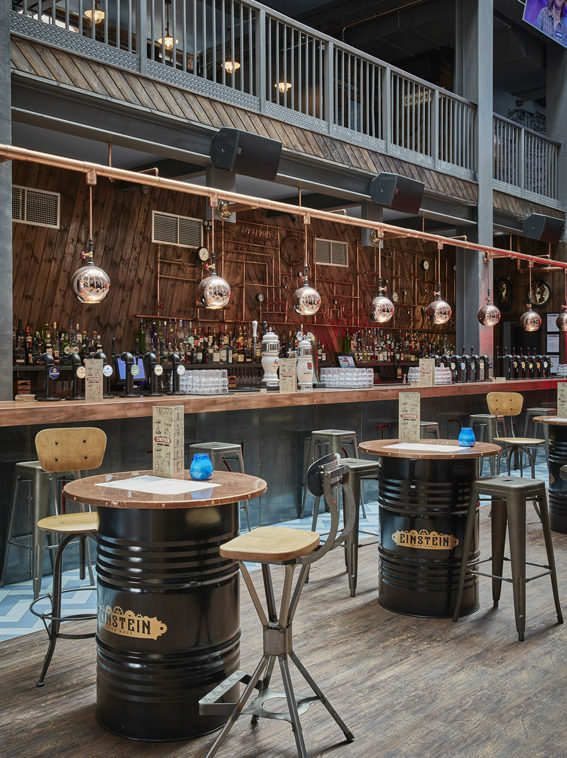 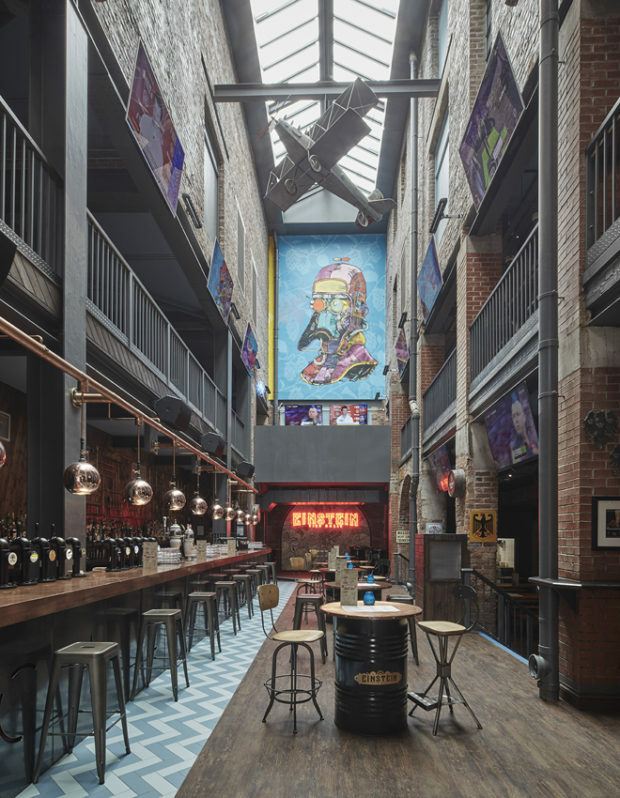 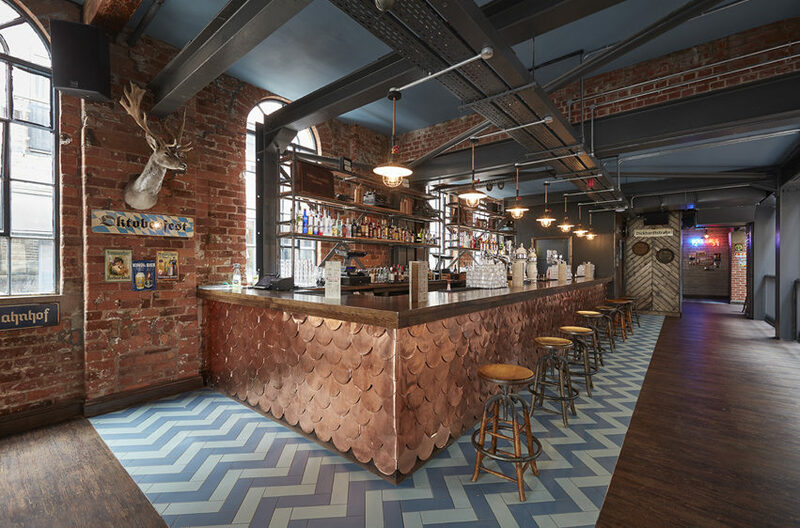 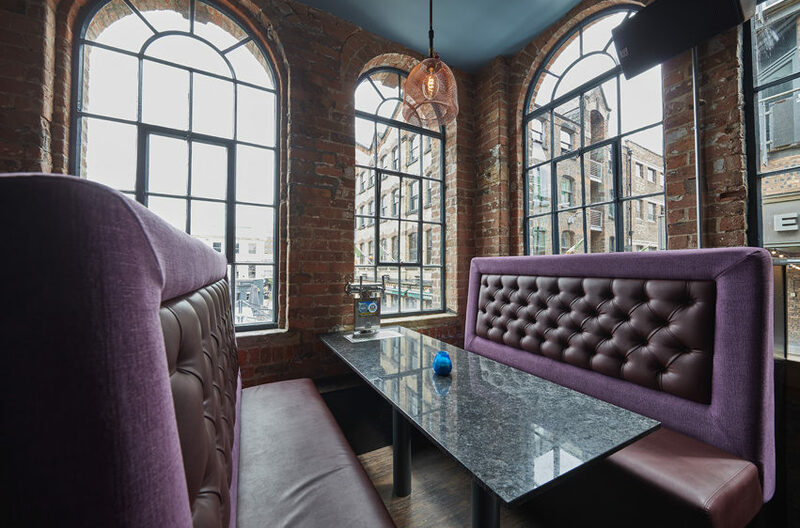 Every detail within the venue was specified by Snook, down to Snook designing and manufacturing all the furniture – PROST!